Mmm, sweet things for breakfast. Definitely not the norm in my little kitchen: I’m usually a coddled eggs over avocado and greens kinda breakfast girl. When I’m visiting my family I’ll whip up some gluten-free waffles (I have a thing for waffle makers – thanks Rae!). With guests in town weekend brunch means French omelets, really good bacon and some sort of roasted veggies, maybe with a side of GF blueberry cornbread. But when I got this month’s recipe from All-Day Singin’ and Dinner on the Ground for the Burwell General Store Recipe Swap, my mind immediately went to breakfast for some reason. And from savory to sweet. Not that I don’t love a good slaw. In fact, it’s one of my favorite restaurant sides as (a) it contains in its original recipe nothing that I’m allergic to, (b) I love cabbage and (c) I’m usually missing something that comes with the main dish it’s paired with, so slaw makes my meal feel more authentic. But I honestly just don’t have room for a big thing of coleslaw in my fridge and no one to eat it with this week. It’s a busy one in Dusty Bakerland (which is a little northwest of Candyland and because you don’t get a sugar crash you never slide down, only climb up). So, what to swap? I’ve been cooking for friends and baking like crazy lately, and didn’t want to go back to the grocer’s for a fifth time this week for something new. 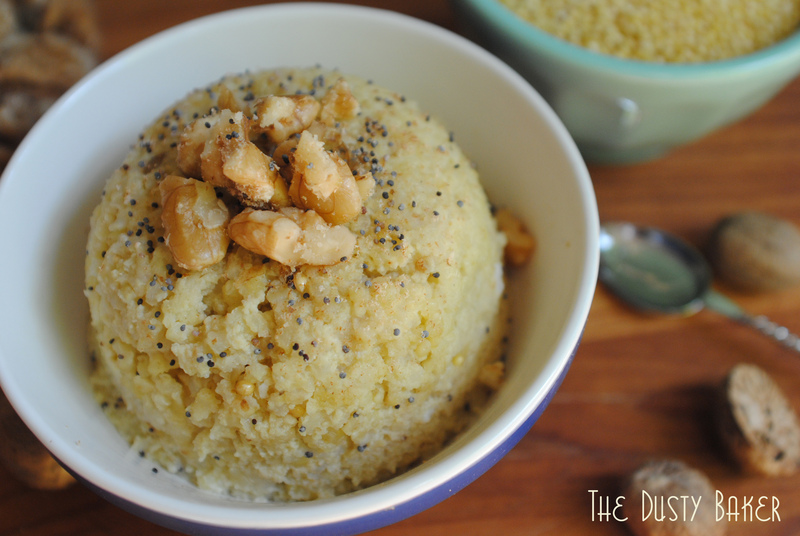 A little pantry combing and… millet. I’m a big fan of this little grain. It’s gluten-free, easy to digest and contains high levels of magnesium (amongst other things), so it’s good for people who suffer from asthma or anxiety or are watching their tickers. It has a little more bite than quinoa if you toast it first and then cook it to an al dente sort of doneness, but will also mash well and make a smooth porridge if you’re nursing someone back to health. 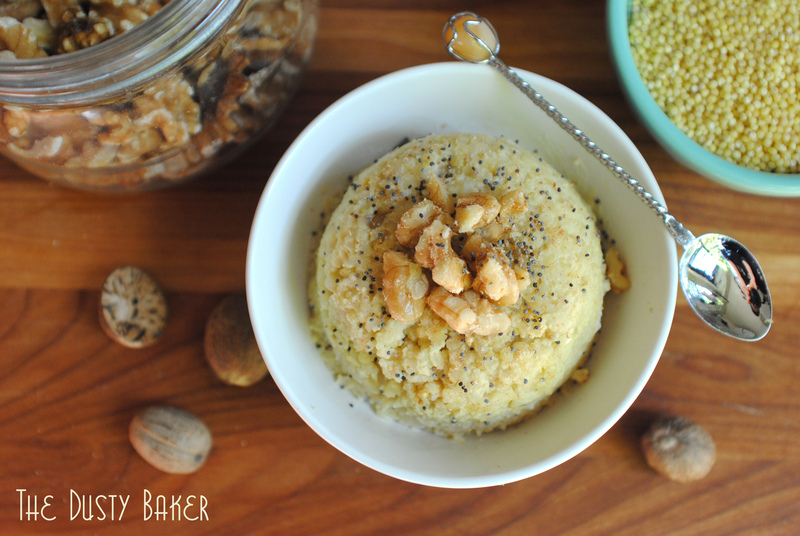 I figured by making a millet breakfast pudding – similar to the coconut milk rice pudding recipe I love and haven’t posted yet – I could try out the quick stovetop custard technique in this recipe (I’d usually do it a bit differently). Because I wanted to make this an only slightly sweet breakfast recipe, I stirred in only a tiny bit of maple syrup and threw in some cracked tricolored pepper and grains of paradise – I’m actually a huge fan of pepper in sweet dishes. And once again it brought me closer to the swapped recipe. And for some protein – stirred in some crushed walnuts. This is the perfect breakfast pudding and an incredible alternative to oatmeal (in general I find millet easier to digest than oats). You can easily vary sweetness to suit your taste and throw in whatever you have lying around – protein powder, some chopped dates or prunes, raisins, almond butter… your pantry’s the limit. If you make it sweeter and stick it in the fridge, you’ve got a delish alternative to dairy-free rice pudding. But right now I’m gonna grab this glass and go eat my breakfast in bed. Please check out Burwell General Store for info on the swap and see what other awesome bloggers have created at their links below. 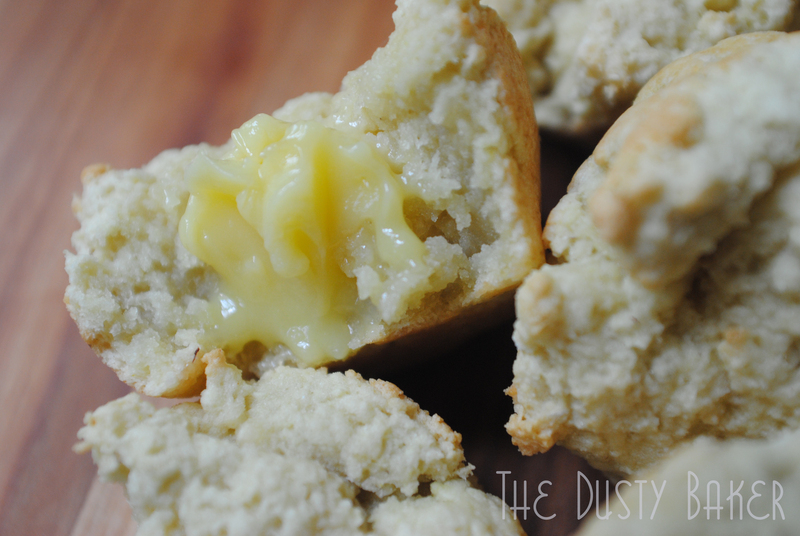 Sweet, creamy, filling, warm... breakfast. In a large heavy pot, melt butter or bring oil up to heat. Add millet and stir to combine. Cook until toasty and just starting to brown. Meanwhile, in a small pot with a tight lid bring 2 cups of water up to boil. When toasty, transfer millet to boiling water, cover, and simmer for about 20 minutes until done – this should be about 5 minutes after you no longer see any water bubbling. Meanwhile, put coconut milk, beaten eggs, maple syrup, vanilla and spices into the now empty pot and set it over low heat. Whisk all ingredients together fully. As the mixture heats, whisk constantly until it forms a light custard. Once the millet is done cooking you can bring the heat up on the milk mixture a bit – just make sure to whisk constantly so that the egg doesn’t curdle as it cooks. Add cooked millet to coconut custard mixture and mix to combine. Toss in any added extras, jump into bed with a good book and maybe hum a song or two. Please click on this cute little blue frog to see what the other swappers have created and get their recipes! 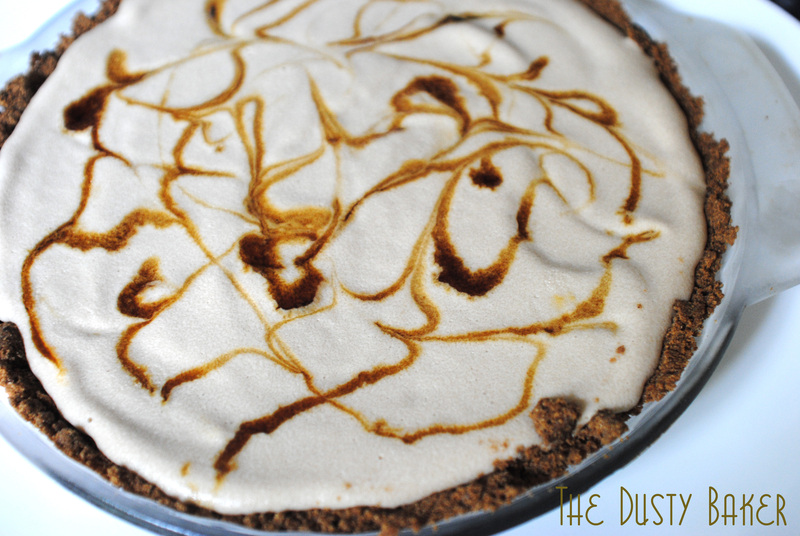 Dairy-free Molasses Cookie Coffee Ice Cream Pie! A Recipe Swap! Did I stay in nights this weekend to make cookies and coffee ice cream? Yes, yes I did, and I’m not ashamed to admit it. Nor am I ashamed to admit that I ate the piece of ice cream pie in the photo above as I started typing this entry – at 11am on a Sunday morning. And another one later at night while watching True Blood. I have no shame because this dessert – coconut milk coffee ice cream in a molasses cookie crust – is one of the most insanely delicious things I’ve ever made. 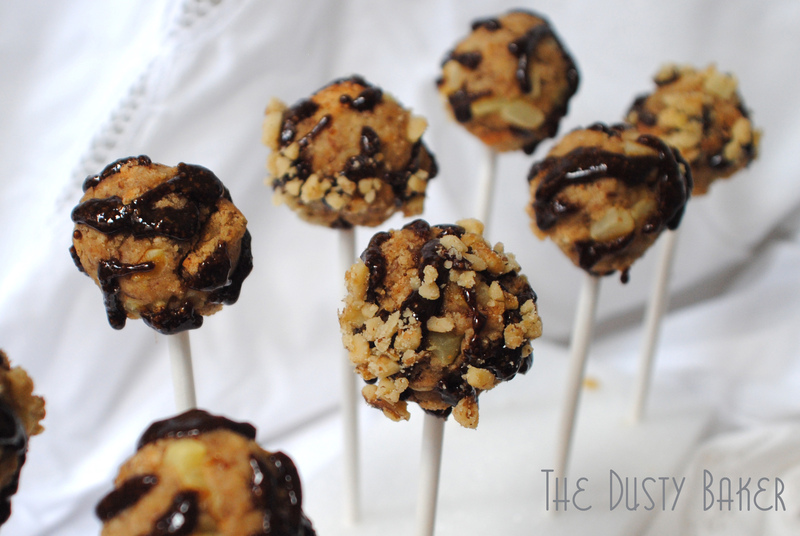 And it happens to be gluten-free, dairy-free and sweetened only with date sugar, molasses, maple syrup and honey. Other than watching movies and walking miles on end, this weekend was devoted to a BURWELL GENERAL STORE VINTAGE RECIPE SWAP! Yep, it’s that time again, when a group of twenty or so bloggers get sent an old recipe that we each have to adapt, changing at least 3 things about the ingredients or process. 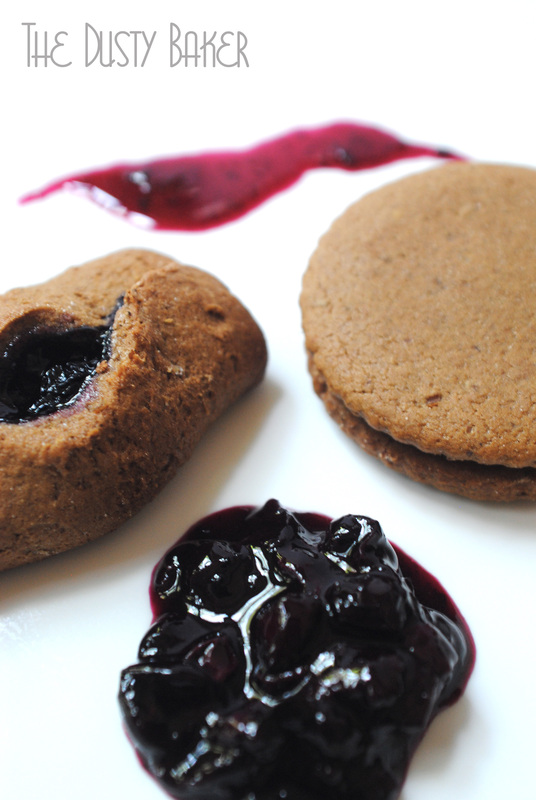 This month is an already gluten-free molasses cookie! Please check out the other swappers!! It’s always incredible to see how a talented group of inspiring chefs take one idea and run with it. Details and links are below the recipe. So, I actually didn’t really want to alter much of the recipe, as it looked simple and delicious. I just changed the combination of flour and used date sugar instead of white sugar and a little maple syrup, bourbon vanilla and cocoa powder to add even more depth. The result? These cookies taste incredible! Soft, almost cake-like, and you can taste everything in them: the molasses, cocoa, vanilla, maple syrup and coffee. But my version looked horrible. Puffy, no spreading, rough. I told my roommate they too closely resembled deer turds. So I needed to take them a step further. What to do with delicious but ugly cookies? PIE CRUST!! And what better to put into the pie crust than coffee ice cream?!?! So I followed the recipe in Simply Gluten and Sugar Free, using honey as a sweetener and maple syrup instead of Stevia. An overnight chill and 20 minutes in my ice cream maker, and voila! One of the best desserts I’ve ever made and a new favorite. 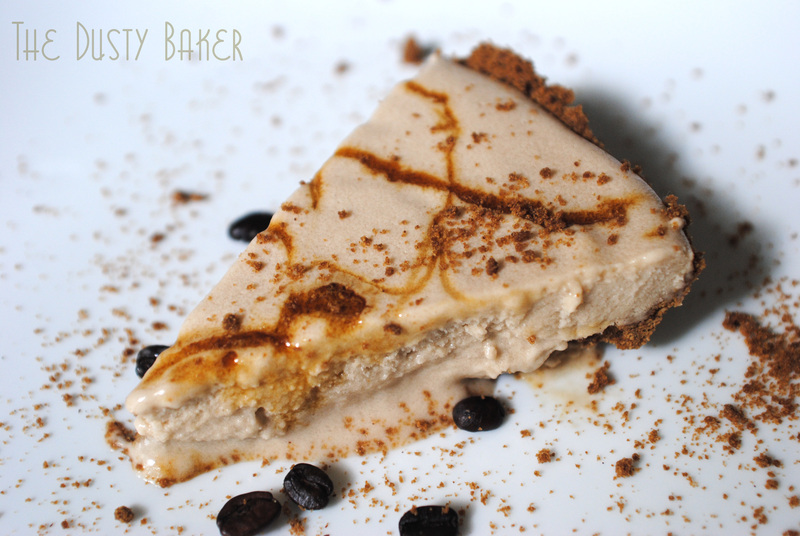 Coconut Milk Coffee Ice Cream Pie! Preheat oven to 350°. Butter or grease thick baking sheets. Sift together all dry ingredients in medium bowl. In the bowl of a standing mixer with the whisk attachment or with a hand mixer, cream the shortening and sugar until smooth and fluffy. Add the eggs and molasses and beat to combine. Add the vanilla to the coffee, then add dry ingredients alternatively with the coffee, starting and ending with dry. Drop in tablespoons onto sheets, flatten, and bake for about 15 minutes or until slightly soft. To make into an ice-cream pie, simply crush about 16 of the cookies in a food processor and press into a shallow pie plate. Place in the freezer to harden while you either process your ice cream or melt some store-bought ice cream to pour in. I made and LOVED the recipe posted on Simply Gluten and Sugar Free. Lindsay is a gem with honesty and simplicity written into her recipes. She loves Oregon, its ingredients and Portland’s lifestyle, and it shows. Chef Dennis. A veteran chef in his own right, we are lucky to have his Italian Lemon Pear Cae contribution to the swap. The rest of his fantastic food blog can be seen at morethanamountfull. Joy, holding down a dairy-intolerant household, doesn’t let that restrict her love of flavors and food, in fact, I think it inspires her to do what she does. When you visit her blog, be sure to check out her “ubiquitous about page” and the balcony gardening category. Monique has been food blogging since 2007, her Fat and Happy blog is about food, recipes, cooking, baking, drinking, eating and friends! As the former owner of the Monkey Bean Cafe and Bistro, she still loves to create recipes from scratch. If you send her an unusual ingredient, she’ll create a recipe for you! Shari Good Food Week is almost like my diary as I search for a house, plan the perfect veggie patch, stumble through farmer’s markets with my eye half open (because you need to be there at 6am to get the fresh eggs), gather family and friends around a shared table, laugh out loud and enjoy life to the fullest! Blogging from Canberra, Australia, I hope to bring a different perspective to the Recipe Swap. Priya is also joining us from Australia. She’s a vegan who loves baking, cooking and eating, having chosen the lifestyle after being a vegetarian most of her life. She caters hand-crafted vegan and vegetarian food, and also delivers hand-crafted vegan and vegetarian cookies and cupcakes. Jennifer‘s tag line says it all: Life is too short to eat bad food. At her blog, Adventuresome Kitchen, you will find a passionate food-type, feeding her family amazing meals and living to blog about it. Jennifer joined in at Grandma’s Chicken Pie and Drop Biscuits. The Cake Duchess. The name says it all, and Lora’s recipes are rock solid, creative, decadent, inspiring. What other adjectives can I throw at her? Her innaugural recipe was Grandma’s Chicken Pie and Drop Biscuits, a rare savory recipe for her to develop. Jamie blogs at Random Acts of Food and has a love for food that only an Italian could! She enjoys cooking and baking in all cuisines for her family and friends. Originally from Long Island, Jamie now resides in Boston with her amazing fiance. Jaclyn is a writer, baker, perpetual daydreamer and the author of the cooking and baking blog Food+Words. She has a degree in Creative Writing and is currently studying Baking and Pastry at Le Cordon Bleu. Jaclyn loves poring through old cookbooks she inherited from her grandmother and reinterpreting those recipes with modern, updated twists. Jaclyn has a panchant for baking, laughter, a nice glass of Riesling and anything lemony. Alli is a research nutritionist by day, transforming into a creative cook by night. She lives in Seattle and scours through her piles of cookbooks, magazines and restaurant experiences for easy ways to transform recipes into healthy and flavorful dishes. Rachel Saunders is the owner of Blue Chair Fruit and author of The Blue Chair Jam Cookbook. She produces all of her jams and teaches classes from her space in Oakland, California. Lana is a native of Serbia, who has finally found her home in Southern California, after living for ten years in Michigan and ten years in Ohio. She is mother of three girls and wife to a token household male. her blog is a place where the love for words meets the love for food, a place where family and friends, old and new, gather around the virtual kitchen to reminisce, laugh and cry. Emily thinks that no matter what it is, all foods taste better when made with love. From growing up in North Carolina with a Palestinian father with a passion for food and an American mother who really did not, to being the holiday sous chef to her real-chef brother, to moving to Brooklyn, the love of a good meal pumps through her veins. From her CSA to nostalgic junk food cravings, from the food truck to the fine dining scene, kitchen inspiration is around every corner. Alex: I live in Seattle and while I have a typical desk job, my heart is in my home, baking, cooking and eating! I love reading about what other people are creating, so I decided to share my own creations. My blog is about food, but also things that I generally love in life. Since I love eating, I also have a huge love of fitness…so I can eat more! Shumaila: After I got married in March, 2010, and shifter to a town where take-aways and restaurants are next to none, I started cooking for the first time in my life. I have always loved baking, but cooking to me was completely new. I started experimenting with recipes for my husband and myself and found blogging the perfect way to keep track of things in the kitchen and also a way to document my first year of marriage. Being Indian, I also started a weekly blog posting “Garam Masala Tuesdays” to try, to the best of my knowledge, to explain the Indian recipes I try at home. I blog from Arizona, USA. I love the food-blogging community. 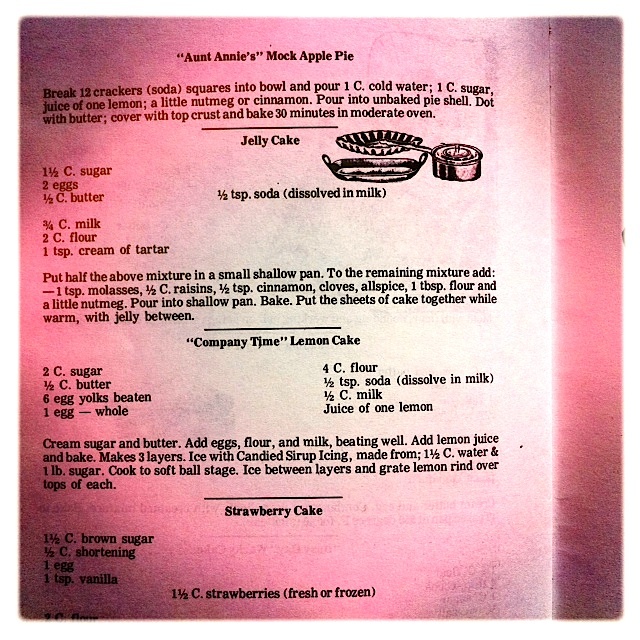 For the past few months I’ve been taking part in a Vintage Recipe Swap with Burwell General Store. 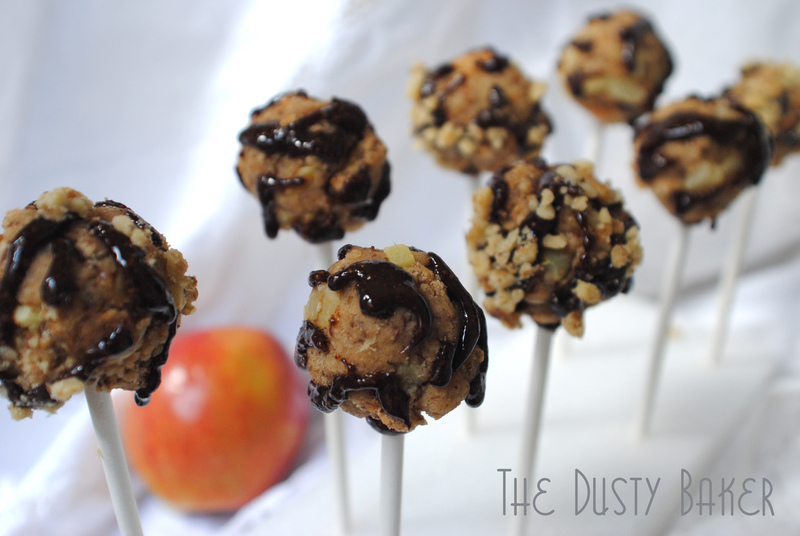 We’re sent a recipe and have to alter at least three things about it, then blog our creations on the same day. I am always incredibly impressed with what the other bloggers post. They’re truly inspiring, culinary masters that I have so much to learn from. Please check out their sites (links at the bottom of this post). 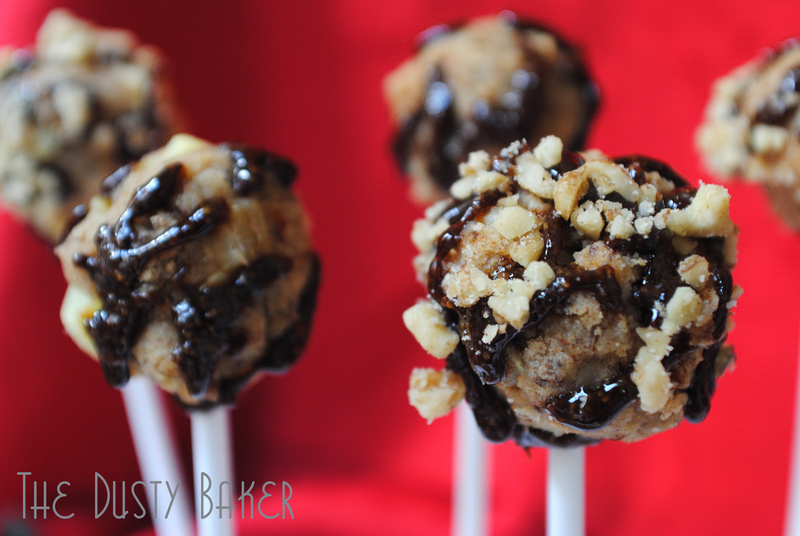 After my disappointment with last month’s Baked Potato Cakes I knew I wanted to make something decadent this month. Something that would take some planning and patience and love. This recipe is wonderfully simple in theory – two cakes sandwiched with jelly. And I loved that the second cake was spicy with cinnamon, cloves and allspice. 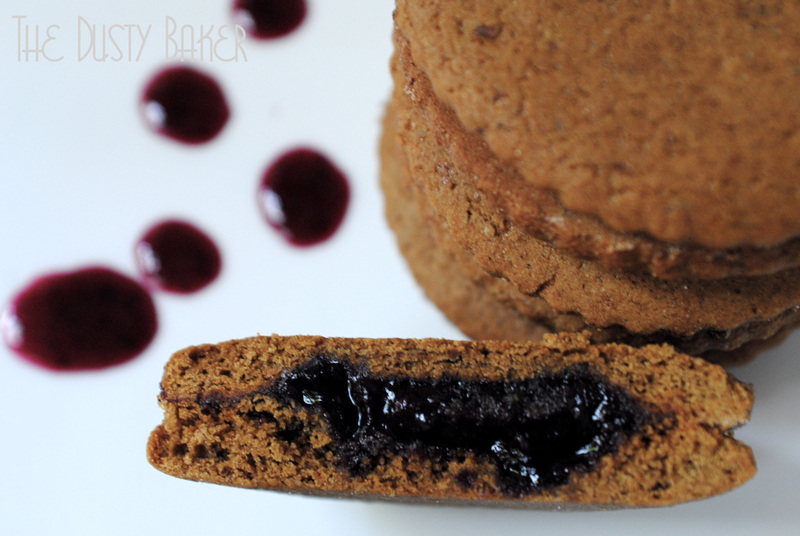 So I decided to make only a slight variation on this classic idea with an easy blueberry jam nested in the middle of gluten-free ginger molasses cookies. I love how versatile and mobile cookies are. And while lying in bed, sleepless, one night, I thought how I could try the jam between two round cookies and also try it with the raw dough pocketing it before baking, much like an Italian or Polish pastry cookie. It took three days in short bursts to make this recipe, which actually made it more relaxing of a process. One morning I made the Blueberry Ginger Lime Jam. I loved the fresh, organic blueberries I found at the market and figured I’d spice them up with a bit of ginger and fresh lime juice and zest. I also made a smoky blueberry sauce with paprika that I then made into a martini. Delish. The second day I made the cookie dough, then stuck it in the fridge and rolled and baked the next morning. Fully refrigerating dough is a crucial step when making cutout cookies, especially when they’re gluten-free, in order to keep a clean shape and consistent texture. 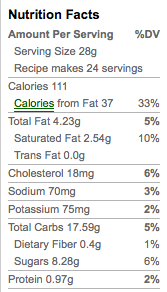 In my earlier days I thought I could get around a few steps and still have incredible cookies. Now I know that refrigerating dough, using parchment paper, keeping my gluten-free flours cool and rolling evenly are important keys to mastering this. 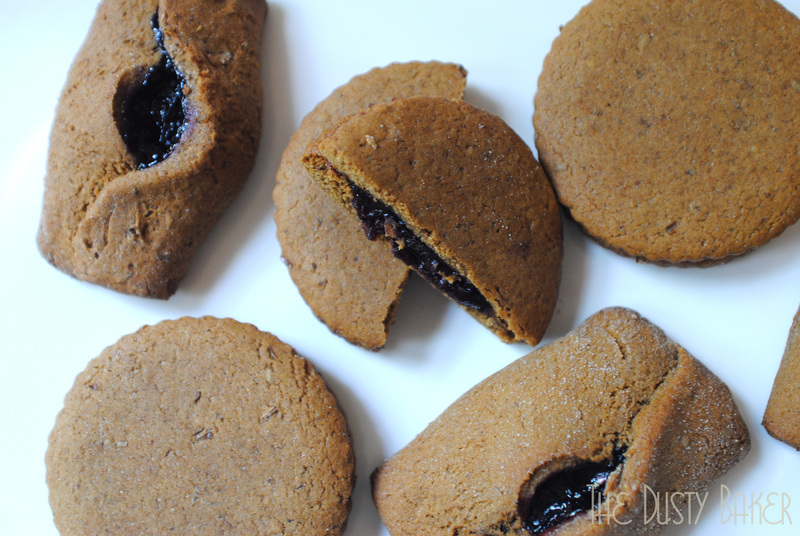 The result is a rich, spicy ginger cookie sweetly flavored with dark molasses. Making them into pocket cookies yields a softer, pastry-like cookie, whereas the rounds have the perfect amount of gingery jam between. They have a soft mouth feel, and hit you in two stages – first the spicy ginger cookie, and then the rich jam. I love them. Love love love. 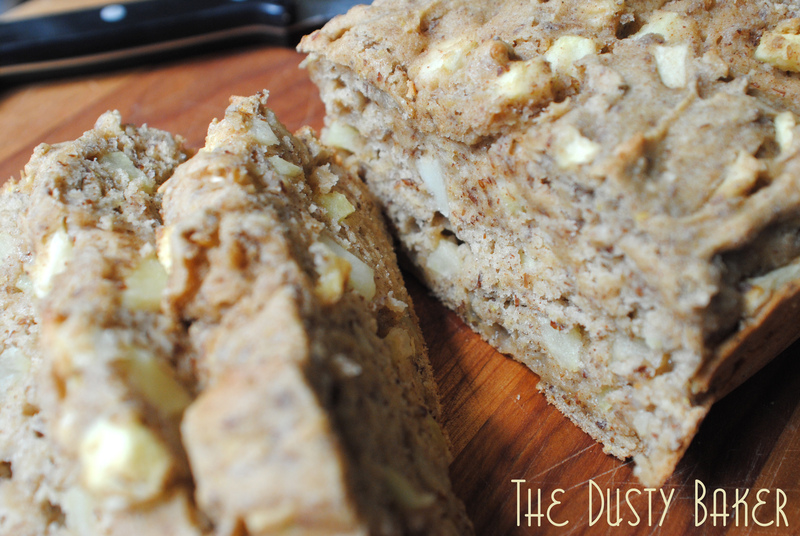 Note: In this recipe I’ve measured out my preferred gluten-free flours and added some flax seed meal for fiber (it also helps baked goods gel a little bit more too). All that’s important is that you have three cuts of gluten-free flour. I recommend keeping your flours in the fridge as they stay fresher longer – it also helps when making a pastry like a cookie that needs to stay tight. I also usually refrain from mixes that are high in potato flour or starch and only use one kind of flour – usually white rice. 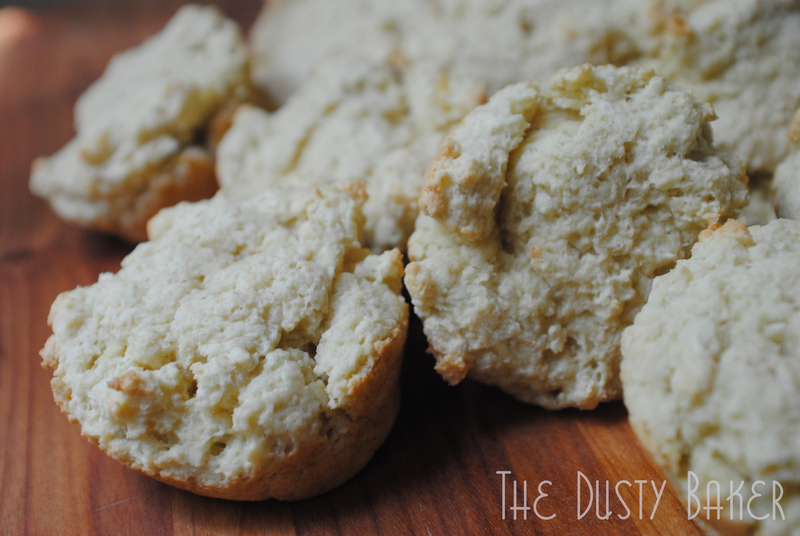 Check out my gluten-free flour blends page for more ideas. Another note: I used two types of molasses and maple syrup because I had small amounts of each and like using what you’ve got instead of purchasing excess. Just make sure you have 3/4 a cup of molasses. In a standing mixer with the paddle attachment, beat butter and sugar until light and fluffy. Add molasses and maple syrup and beat to combine. Add egg and beat to combine. Slowly add in flour until combined. Divide in half, flatten into disks and individually wrap in plastic. Set in refrigerator at least two hours or (preferably) overnight. Flour work surface with rice flour and roll disk to 1/4 inch thick, rotating dough regularly to prevent sticking (re-flour board as necessary). Cut into circles about 1 3/4 inch in diameter. Bake for 12 minutes or until still slightly soft on top. If you prefer crispy cookies, bake for 16 minutes. Remove from oven and flip upside-down on a cool cookie sheet or flat work surface. 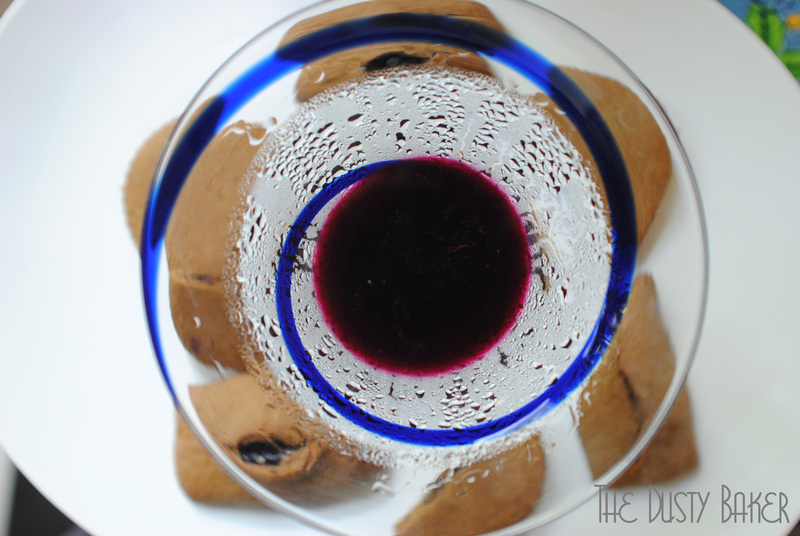 With the bottom of a shot glass or a small spoon, press a small circle into the bottom of each cookie. Allow to cool completely. 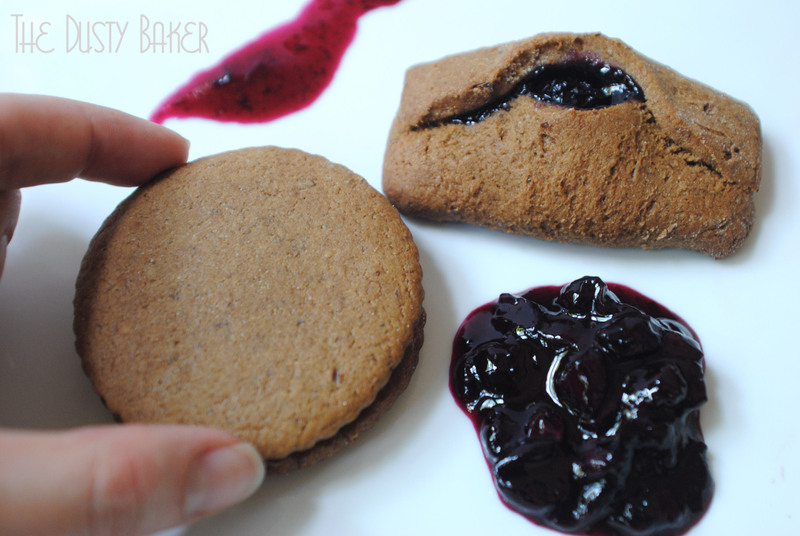 When cool, fill 1 cookie impression with about a teaspoon of your favorite jam (mine was Blueberry Ginger Lime Jam) and use a second cookie to sandwich, repeating until all are done! Store in an airtight container (preferably in the refrigerator) until ready to serve. Alternatively, you can cut squares of dough, fill with jam, and make pocket cookies. These will be a little softer and cake-like. CM is our Burwell General Store leader. A food producer and writer, she’s based out of L.A. and has worked with the Food Network and Saveur, amongst many others. Those are just my two favorites :) Her site is, of course, divine. Jaclyn is a writer, baker, perpetual daydreamer and the author of the cooking and baking blog Food+Words. She has a degree in Creative Writing and is currently studying Baking and Pastry at Le Cordon Bleu. Jaclyn has a panchant for baking, laughter, a nice glass of Riesling and anything lemony. Merry-Jennifer is a physician, a writer, a wife, a mother of two, and the author of the food blog The Merry Gourmet. She focuses on family-friendly original and adapted recipes – with an occasional cocktail recipe thrown in for balance. Alli has a master’s degree in Nutrition and blogs at An Open Cookbook from Seattle, Washington. We met recently at BlogHer Food in Atlanta, and immediately hit it off. A warm welcome to her!